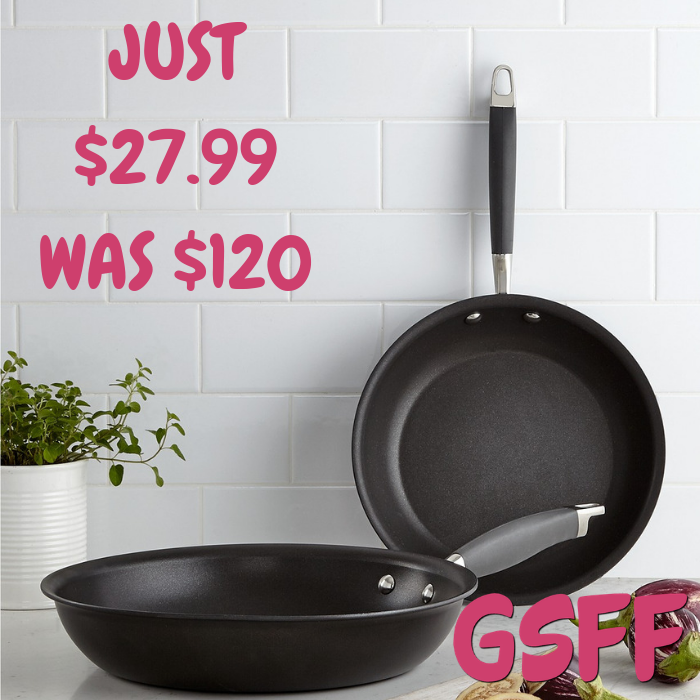 Anolon 2-Piece Skillet Set Just $27.99! Down From $120! You are here: Home / Great Deals / Anolon 2-Piece Skillet Set Just $27.99! Down From $120! Macy’s is offering this Anolon 2-Piece Skillet Set for just $27.99 down from $120 when you enter promo code FRIEND at checkout! PLUS, it’s FREE store pick up or FREE shipping with any beauty purchase or for orders $99 and above! The star of any working kitchen, the skillet is a chef’s go-to piece of cookware. These two nonstick fry pans are perfect for virtually every task, crafted of heavy gauge, hard-anodized aluminum that heats evenly and leaves no stubborn hot spots.